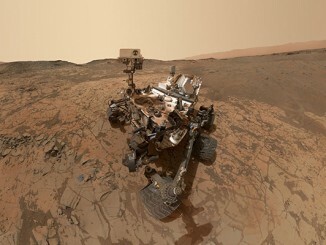 Using the accelerometers and gyroscopes on board the Curiosity Mars rover, researchers have measured subtle changes in the tug of martian gravity as the robot has climbed the lower slopes of Mount Sharp, showing the underlying rocks making up the 5.5-kilometre-tall (18,000 foot) mound of layered terrain are much more porous than initially thought. Mount Sharp is the central feature of Gale Crater, Curiosity’s landing site, a towering mound rising 5.5 kilometres (18,000 feet) above the crater floor. The new findings raise fresh questions about how the mound was formed, indicating the crater may not have been completely filled in the past as previously thought. “This study represents the first gravity traverse and measurement of rock density on Mars,” Nicholas Schmerr, a geologist at the University of Maryland, said in a release describing the measurements. 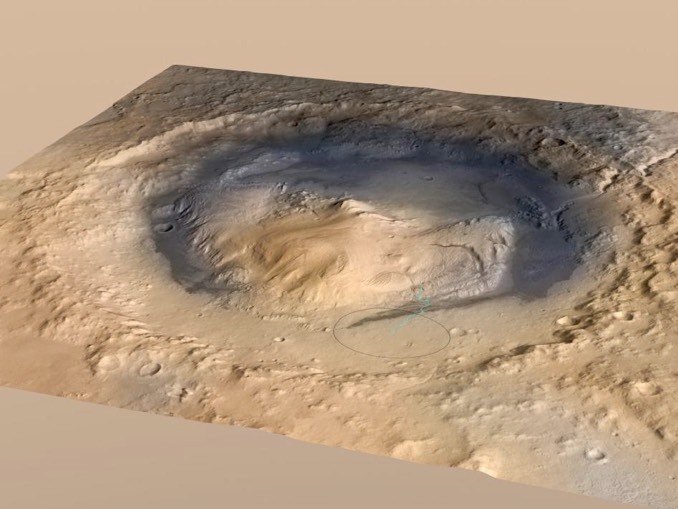 “The low density of rocks in Gale Crater suggests that they did not undergo deep burial. 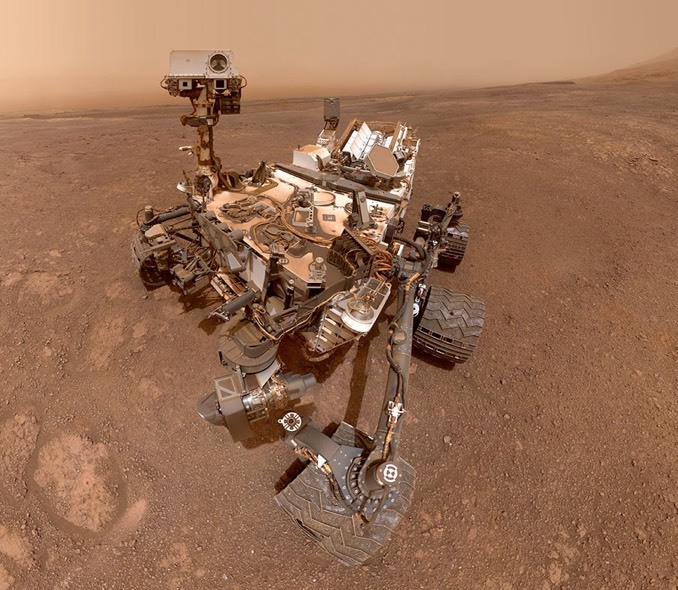 The researchers were able to reach that conclusion after analysing five years of data from Curiosity’s ultra-sensitive accelerometers, normally used to help determine the rover’s orientation. When the rover is stationary, the accelerometers also can detect the slight tug on them caused by the downward pull of Mars’ gravity. More than 700 archived accelerometer measurements recorded between October 2012 and June 2017 were calibrated to eliminate the effects of temperature and Curiosity’s tilt and compared against models of the martian gravity field. The results also were compared to data collected by another instrument that characterises crystalline minerals in multiple rock samples to help determine porosity. The findings suggest Mount Sharp’s lower slopes were compacted by less than 1.6 kilometres (1 mile) of overlying material compared to 5 kilometres (3 miles) if Gale Crater had been completely filled in the distant past. 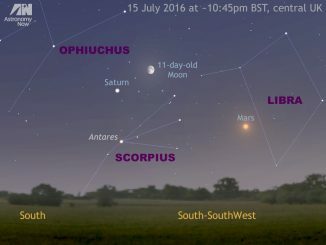 In the bright evening twilight of 14, 15 and 16 July, observers in the British Isles and Western Europe can see the waxing gibbous Moon pass by Mars, first-magnitude star Antares in Scorpius, then Saturn. This series of conjunctions occurs very low in the southern sky for UK-based astronomers, while Australasian observers are ideally placed to view the spectacle almost overhead. 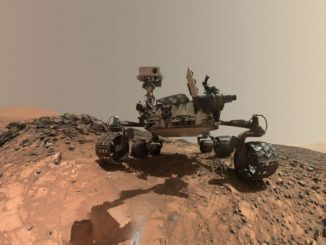 Nitrogen, in the form of nitric oxide (one nitrogen atom and one oxygen atom), has been detected for the first time on the surface of Mars by a team of researchers using the Sample Analysis at Mars (SAM) instrument suite aboard NASA’s Curiosity rover, adding to the growing speculation that life could have once flourished on ancient Mars.